If beginning testosterone replacement therapy (TRT) is on your mind, make sure you first get a testosterone therapy prescription. Why is it important to get a prescription for testosterone? What you do not know about testosterone therapy can cause you the biggest problems. TRT is extremely safe when used for the right reasons. When abused, testosterone can lead to unwanted and potentially dangerous side effects. Do not be led astray by flashy ads or gimmicks. 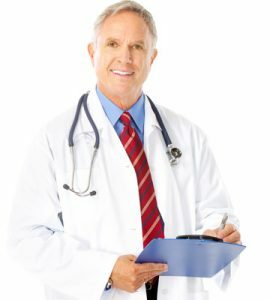 Testosterone replacement therapy is a valid medical treatment used to treat testosterone deficiency – also called Low T.
It is possible to get a testosterone prescription online as long as you turn to a legitimate hormone replacement clinic. You also want to steer clear of companies that offer to sell you testosterone without a prescription. Such websites operate outside the scope of US law. Any purchase made off one of these sites could lead to prosecution. Even worse is the risk you take with your health. Counterfeit testosterone is rampant in other countries where these businesses are located. Legitimate companies in the US will not break the law and will require a valid prescription. The reasons why you might need a testosterone therapy prescription may vary from other people you know. That is why general physicians often have a challenging time diagnosing Low T. The symptoms can vary from one person to another. A hormone specialist is better trained to recognize Low T.
It is easier to recognize the signs of low testosterone in women because the decline comes in conjunction with menopause. Hot flashes, weight gain, mood swings, insomnia, night sweats, memory loss, vaginal dryness, and depression are common Low T symptoms. No woman should begin any hormone replacement therapy (HRT) without first undergoing the complete blood analysis with a hormone specialist. Some doctors omit checking testosterone, progesterone, and growth hormone levels in females and look only at estradiol. Estrogen is not the only hormonal concern at this stage of life. A full blood workup by an HRT specialist will yield a comprehensive look at essential hormone levels. Some adults find the symptoms of Low T annoying yet do nothing about it. There is a misconception that the signs of hormonal decline are merely bothersome. That cannot be further from the truth. Ignoring low testosterone levels and not getting a prescription for TRT can increase the risk of the above conditions. 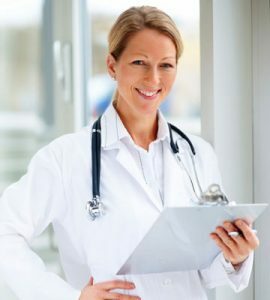 Contact a hormone specialist for a consultation – you have the choice of using a local HRT doctor or a national clinic such as HT Medical Center. 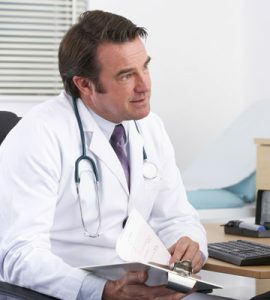 Local doctors require in-person office visits throughout your course of testosterone treatment. Our clinic provides consultation by phone services to save you time and money. 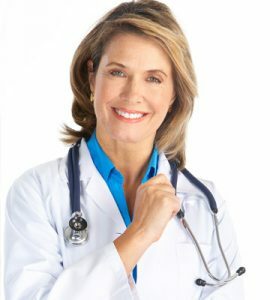 Get a physical examination – the local hormone specialist will typically perform this during the initial consultation. You will be paying higher specialist fees for this service. With HT Medical Center, the costs for a physical exam are usually much lower. All results come directly to our clinic. Get a blood test – in either case, you will visit a conveniently located lab in your area. Testosterone blood tests are performed early in the morning while you are fasting for accurate readings. Complete a medical history questionnaire – the local doctor will provide these forms when you arrive, and you will complete them in the waiting room. Some physicians have you download and print them from their website to bring in with you. With us, you can access and fill out these forms directly online, sending them to us with the click of a button. 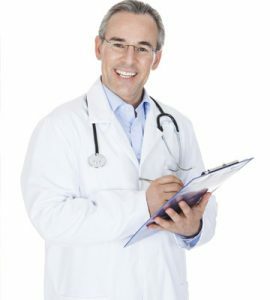 Follow-up consultation – once all prior steps are complete, and the doctor reviews the file, you will schedule your results consultation. This is when you receive any diagnosis and treatment plan. Instead of spending more time in a waiting room, HT Medical Center provides all information again by telephone. You probably want to know how much does a testosterone prescription cost. You will receive that information during the follow-up consultation. The doctor must first determine need, treatment dosage, and type before we can address the answer. Getting a testosterone therapy prescription can change your life if you are suffering from symptoms associated with Low T. The sooner you act, the quicker you will see relief. Please contact HT Medical Center today for your free consultation.